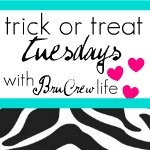 It’s Holiday Recipe Club time again!! The Holiday Recipe Club is a blog hop centered around holiday recipes, and trying to inspire people to come up with something different than their usual holiday fare. So each month, participants are given a list of a few ingredients. They must then come up with a holiday recipe that contains at least one of the ingredients. You’ll find the links to all of the participants’ recipes at the bottom of this post. Now I know my American readers are saying, “Huh? What holiday could it possibly be?” Well, we decided that, since the Holiday Recipe Club has members from various countries around the world, and each blog has readers from even more places, we would start celebrating international holidays. This month, we are celebrating the Queen’s Diamond Jubilee, which our English friends are all celebrating. The ingredients we had to choose from were Tea, Jam, and Worcesteshire Sauce. I am going to say that my recipe is not very English, but it does contain tea. Now, I love tea, but once June rolls around, I am not drinking as much hot tea as I do during the winter months. Then I saw this Vanilla Chai Breakfast Shake from Chocolate-Covered Katie. It sounded fabulous, but I didn’t want to deal with getting a pinch of this spice, a pinch of that spice, and having it taste great because I got the ratio right one time, and then gross because I added too much pepper or cardamom another time. So I took Katie’s suggestion, and simply used a Chai tea bag. Now, to do it this way take some advance preparation, so that you can let your tea milk chill before making your smoothie, but it is totally worth it. And if you are planning on a smoothie for breakfast, you can always heat the milk, put in the tea bag, and throw it in the fridge the night before. So creamy and delicious and refreshing! Are you a coffee drinker or a tea drinker? For me, it is tea all the way. Occsionally I will have coffee – but really only mixed with equal parts milk, sugar, and some flavoring. Heat your milk on the stove for for a minute or two in the microwave, just until it is hot and steam. Put the tea bag in the milk and place in the refrigerator until chilled. Combine the tea milk, banana (cut into chunks) and vanilla in a blender or Vita-Mix or Magic Bullet and blend until smooth. Adapted slightly from Vanilla Chai Breakfast Shake from Chocolate-Covered Katie (based on her suggestion). 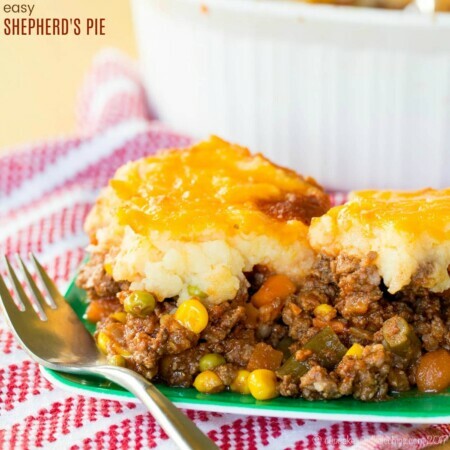 Brianne, this recipe looks so yummy! I’m definitely going to try this one! 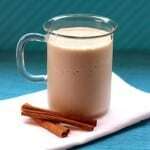 I hope you have a chance to try the chai tea smoothie recipe, Ashley! I just found this recipe on Pinterest, but had to leave a comment. It looks so yummy. I love chai. But get tired of drinking the same version. I am going to try this one. This sounds so great. But I have a banana allergy. Any suggestions as to what to use instead?? Hmmm, I use banana for natural sweetness and a creamy texture. I’ve heard of people using avocado or tofu in smoothies for that creaminess, but then you would definitely need to add something to sweeten it up. oh my goodness…… i am an avid tea drinker AND a banana lover….. how have i not tried this? thanks for sharing! This looks yummy! I’ll be making this once the weather warms up! 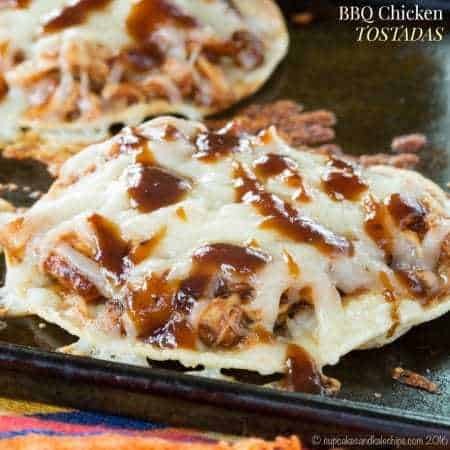 I just stumbled upon your blog and I LOVE all of your recipes! I look forward to following it! This sounds so refreshing! Thank you for sharing on Fit and Fabulous Fridays!! Thank you so much!! I am truly honored! brianne, this looks incredible! i’m a complete sucker for chai tea – i could drink it nonstop. i don’t, but i could. and this sounds so easy! totally going to try this for breakfast this week. This smoothie sounds wonderful! I can’t wait to try it! Thanks for sharing at Showcase Your Talent Thursday! Hi Brianne, I have a Vitamix, but I gave my student son a Magic Bullet for his apartment. We have lots of smoothies! A Chai smoothie sounds great, I’ll have to give it a try. I love my Magic Bullet, but would love the power of a VitaMix. But I just won a Ninja that should arrive this week, so I can;t wait to try that. I found you through dessert stalker! This looks great. When I get a vitamix I’ll have to try it! So happy you found be and stopped by. It is so yummy! Hope you get to try it. I would LOVE to get a VitaMix. I’m just using my Magic Bullet for now. Oh yum! I want this smoothie right now! I’ll have to try this with my favorite chai tea – Celestial Seasonings Thai Coconut Chai. Oooh, I haven’t tried Coconut Chai. I’ll have to look for it. I bet it would be awesome in here, especially with the coconut almond milk. Oh my gosh, I posted a chai smoothie recipe yesterday! Great minds think alike. 😀 I love hot chai, but in the summer, it’s so much better in smoothie form! I know, I saw that and couldn’t believe it!! I know! Well, I am definitely not a vegetarian, but I do enjoy vegetarian recipes, so love getting ideas from you. So happy to join the party. I hope you do get to try this. I always keep bananas in my freezer for smoothies. This smoothie sounds tasty. Love strawberry and coconut together. Your little guy is so cute. He looks so happy with his strawberry loot. Perfect for a summer day! Love this, thanks for sharing! Pinning. During the winter the hubby and I have a hot chai for our afternoon tea. 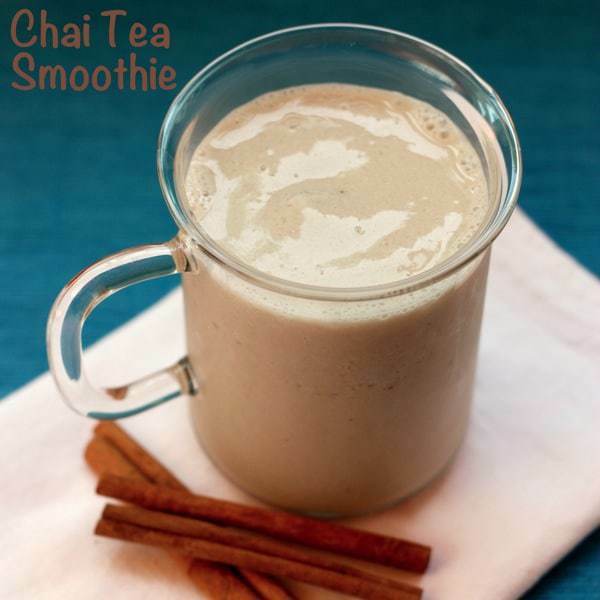 Now it’s too hot for hot tea but these chai smoothies sound like a perfect replacement!! Great smoothie! Oh yay! I hope this is a way for you to enjoy your chai in the hot months. Glad to see your post. I hope your blog troubles are over! They went in and couldn’t find any malicious code, but they are “hardening” my site to protect it for the future. They said I could post even while they are working on it, but this may be a light week. This is gorgeous! I love me some chai tea. 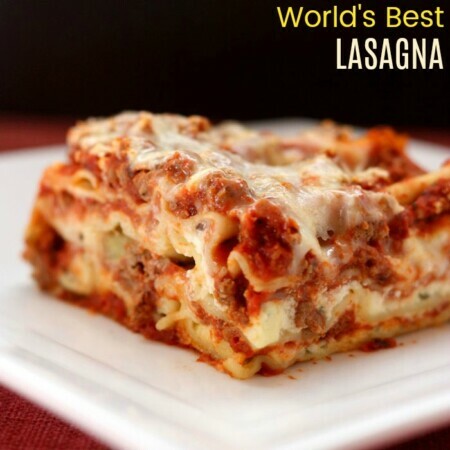 I’ll have to freeze one of my bananas and make this tomorrow! Thank you! I see we both went the Chai route. Heading over to check out your post now! Yeah, I almost wrote in there that you could add flax, chia seeds, protein powder, a bunch of other things to beef it up a bit. This looks delicious! What a great smoothie idea, I’ve never thought of putting tea in my smoothies but now I will definitely have to try this! Thanks – yes, Katie had an awesome idea! So glad I found her recipe which inspired this one. Oooooo, I LOVE chai! What a great way to enjoy it’s fabulous flavors! Pinning so I’ll remember. Thanks for the pin. Hope you like it! I hope you give it a try. I am sure Chai latte lovers will love it! I can not stand coffee, but I love tea. This sounds like a great smoothie. I am going to have to try it soon! Thanks! I hope you like it. It is super-easy but very tasty. Chai tea and bananas? Perfect combo. I would love one of these RIGHT now! Thanks – who would have thought, right?! 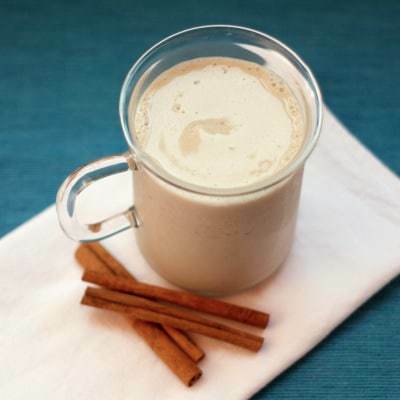 I love Chai Tea latte’s but have never had a Chai smoothie! 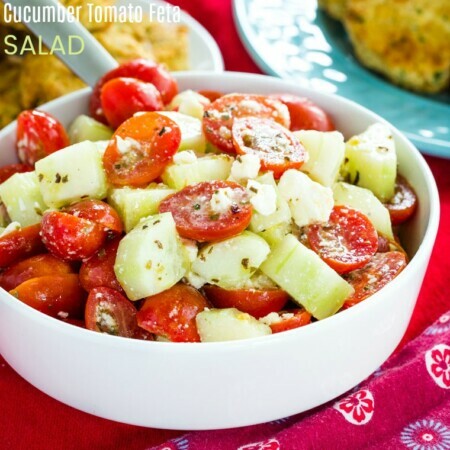 This looks really good and perfect for summer! I know, I had never seen one before till I saw the original recipe, but knew I had to try it.